Kristian Brennan is a writer based in Manchester. 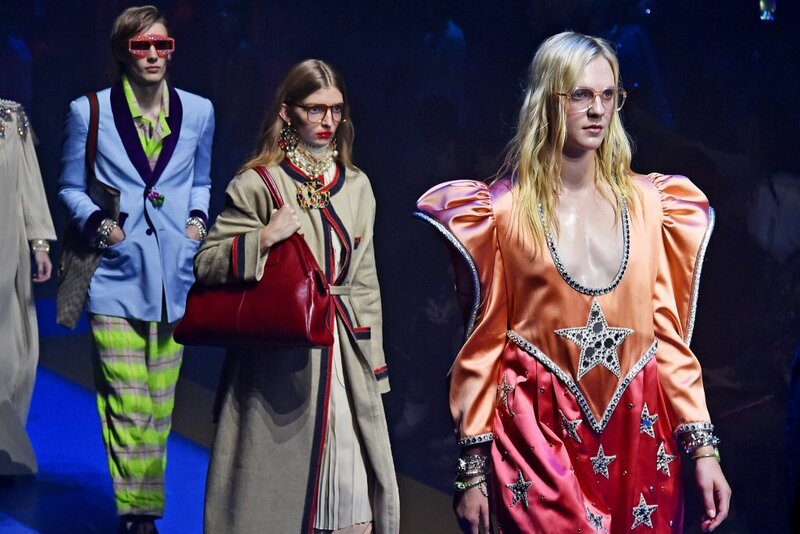 Gucci RTW was a standout at Fashion Week due to his eclectic, gender-fluid collection. A glam-rock extravaganza, with clear references to pop superstar Elton John – this eclectic and funky collection would certainly fit in with the Studio 54 era. Gucci transported the audience to the Ancient world with Greek and Roman statues and effigies of Egyptian gods, all set beside a cobalt blue runway. This created a dark and ominous set which excited fashion bigwigs. Alessandro Michele infused this vintage love affair with pop culture pizzazz to create an original and diverse show for fashion lovers. The collection was a clear standout at Milan. The colour pallet was so vivid it easily captured the revolutionary spirit of 70s music. Popping purples, daring reds and the hottest pinks were splashed onto Gucci’s latest collection, with clashing patterns used in abundance. Glitter, sparkles and stars were rampant throughout – adorned on exquisite power blazers, dresses and sparkle tights. All these party outfits were a nod to Elton John’s earlier stage wear. 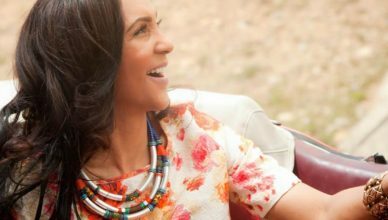 Michele is a designer with a clear love of 70s nostalgia. It was only a matter of time before he would reference Elton John: a pop star synonymous with the era. With signature stripes and the Gucci logo implemented onto the whole collection in cute and ironic ways, this created an excellent ready-to-wear collection. 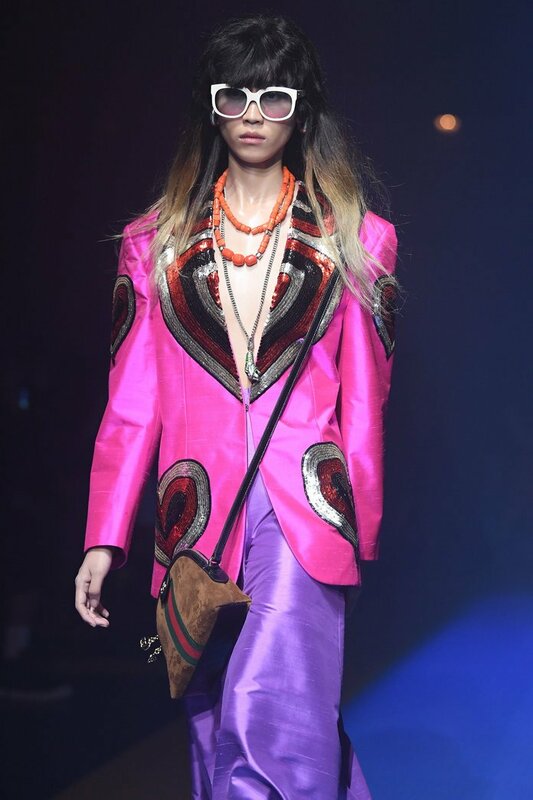 Since his appointment as creative director of Gucci, Michele has been proactive in creating genderfluid and diverse collections for men and women. “I am trying to push the idea of fashion, and to destroy the old codes of fashion,” said Michele. Disney favourite Snow White and Warner Brothers’ Bugs Bunny also made an appearance. 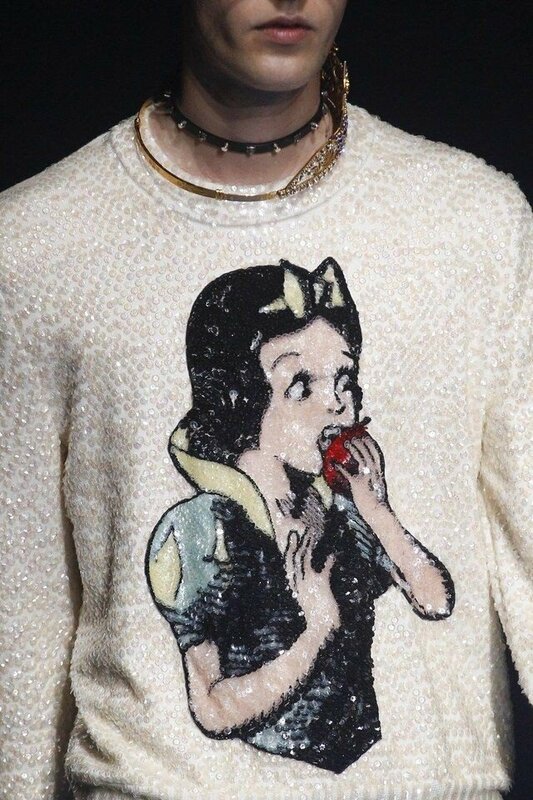 Placed carefully on men’s waistcoats and sweaters, adding a hint of adolescence, these pop culture references – contempory idols themselves – appeal to Gucci’s younger target audience and make a neat contrast with the Classical icons of the Ancient world. With a wealth of experience in creating fabulous, fashion statement garments for Gucci, Michele did not disappoint. His vision has added youth and fun to the Italian fashion brand and really changed its direction.